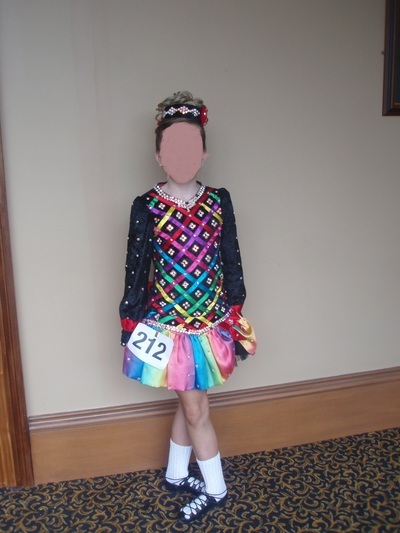 Gorgeous rainbow skirt dress would be suitable for petite under 13 or an under 11/ 12 dancer. Dozens of swarovski crystals have been added. Dress really sparkles on stage. Headband and kickpants included.